While she arrived at work on Tuesday, an employee at Pet Pantry of Lancaster County knew immediately that something was off. 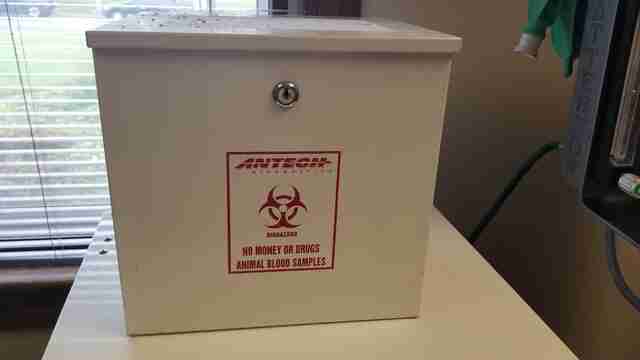 The tin deposit box used to mail out lab test samples was sitting on the bench out front — but it should have been sitting around the side of the building on the back porch. 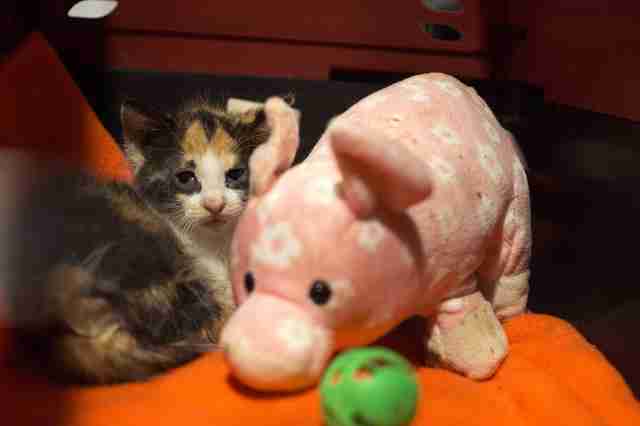 The tiny calico kitten was only around 4 or 5 weeks old — and she was completely alone. No siblings or mother were in sight. She was dehydrated, stressed and riddled with lice. Since the box is entirely metal and lined with styrofoam to keep its contents insulated, Langlois said it’s a miracle the employee checked the box as quickly as she did. There were no slits that would have allowed air to circulate. Langlois and the vet team checked her over right away, and diagnosed her with an upper respiratory infection and an eye infection. They put her on fluids and medicine, and sent her home with Kristine Spangler, rescue manager of the shelter, who will foster her for the next few weeks. 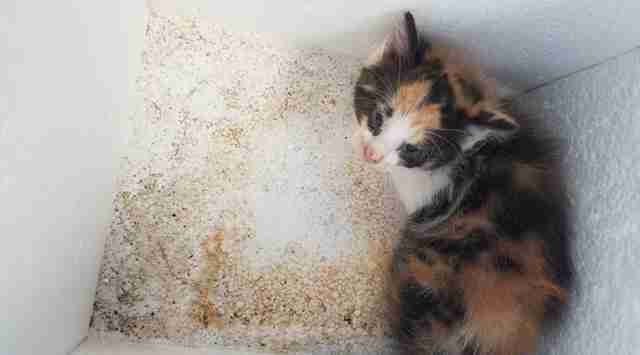 Unfortunately, pet abandonment is a common situation shelters face, especially in spring and early summer when new litters are being born. 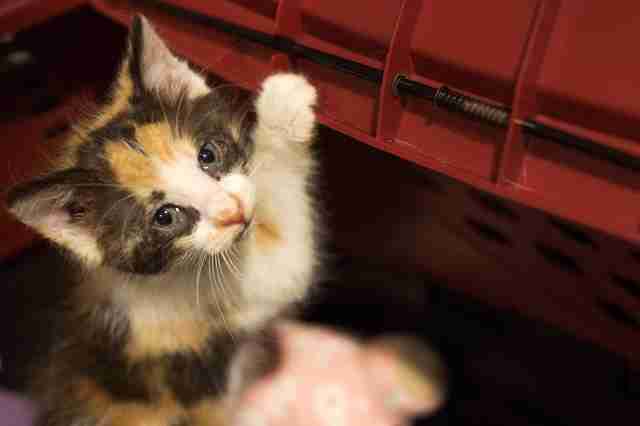 Many people choose to leave kittens or puppies in cardboard boxes at shopping plazas or outside of shelters — but there’s a much safer and more humane solution. 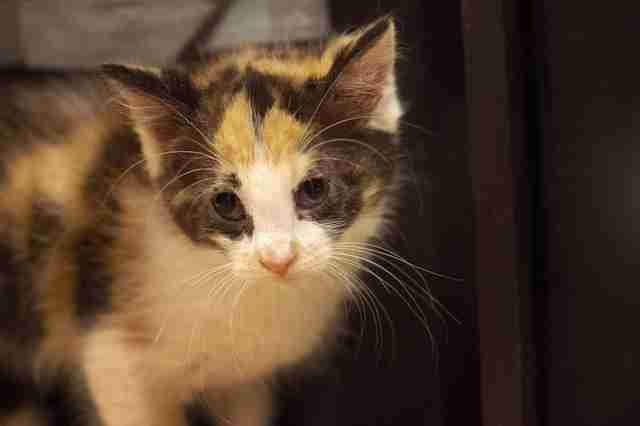 Luckily, this tiny kitten, now named Annie, survived — and it won’t be long until she’s fully healthy and ready for a home of her own. Although she’s still a little scared right now, she’s already starting to explore, play and show lots of love to her foster mom. 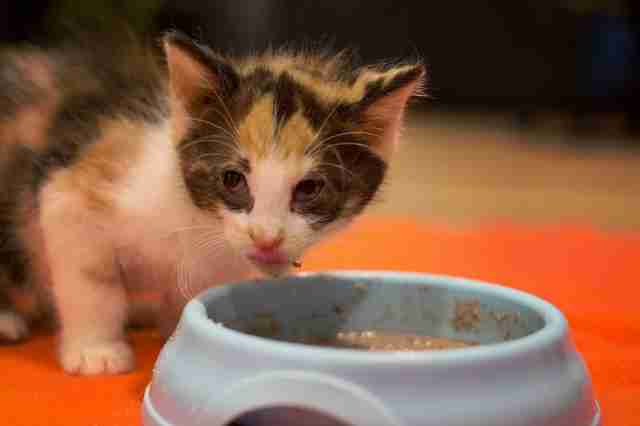 To help more pets like little Annie, you can make a donation to Pet Pantry of Lancaster.